I love sitting down with my kids and eating lunch together. Most of the time I eat what I make for them, but today I wanted something a little bit more “grown up.” My son’s favorite lunch is Tyson Chicken Fries. He is a very picky eater, so he asks for these often. 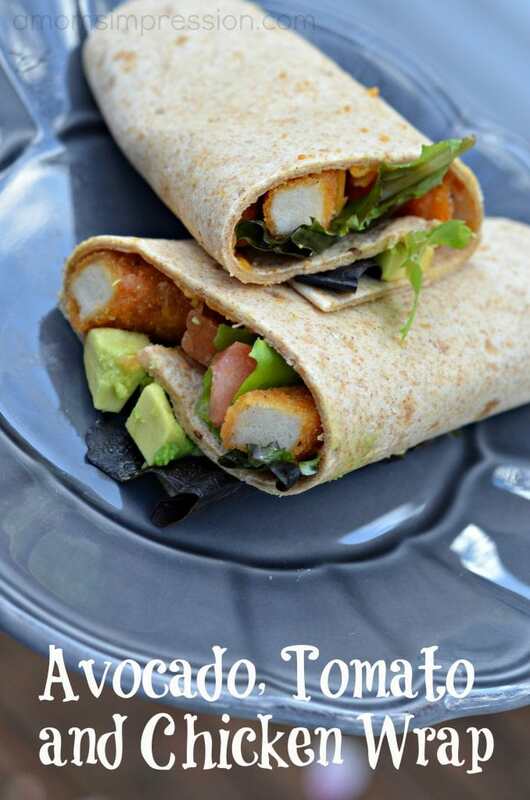 I personally like to jazz it up a little bit so I made myself an avocado, tomato and chicken wrap, it was delicious! Cook Chicken Fries according to package directions. Melt cheddar cheese over fries onto tortilla. Add mixed greens, diced tomato, diced avocado and about a tablespoon of light Italian dressing. This post is sponsored by Tyson and Social Fabric. For the kids I made a fry sauce. Where I am from in the Pacific Northwest, we have fry sauce everywhere. When I moved to the Midwest, every looked at me strange when I mentioned it. Apparently I would have to make my own. It is really very simple. 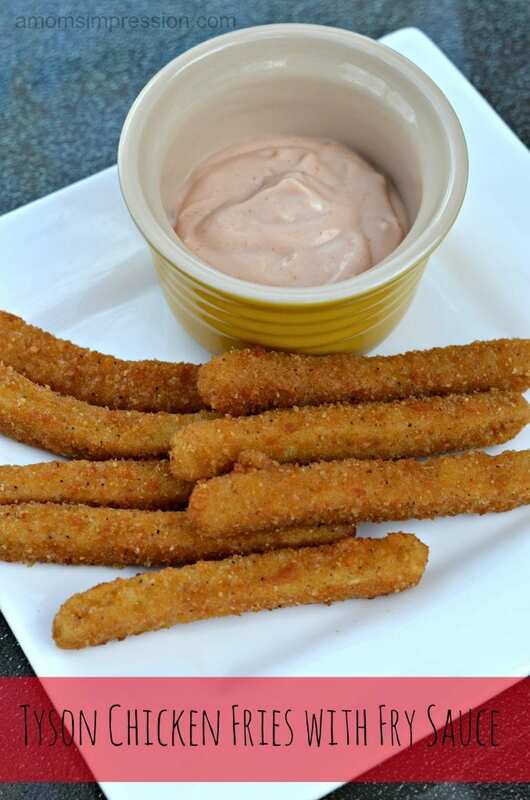 Mix ketchup with some mayonnaise for a kid friendly version. When I make it for myself and my husband I will use sriracha to spice it up a bit. I also add sweet relish when I make it for myself because I am the only one who likes pickles in the family. It is nice that I can count on chicken fries for a tantrum free lunch. Those are rare things these days. 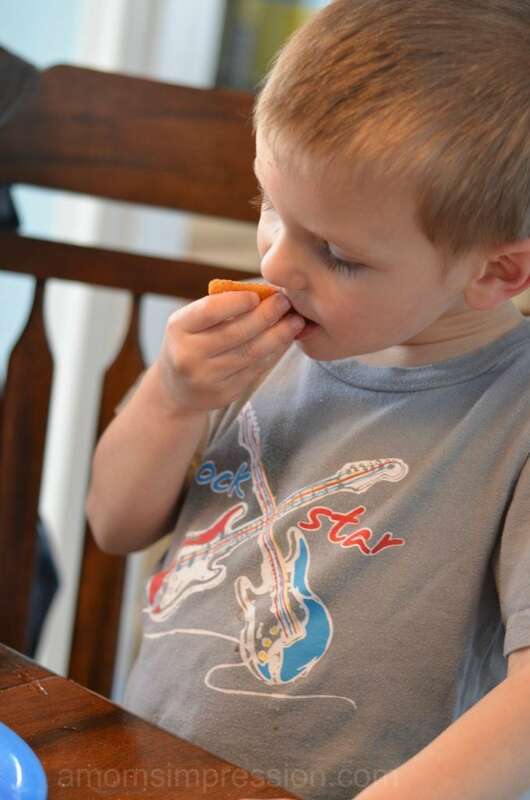 It is going to be a long summer trying to get my son to eat new foods! We eat a lot of Tyson chicken fries so we buy them at our local Sam’s Club. You can check out my latest shopping experience on my Google + album. 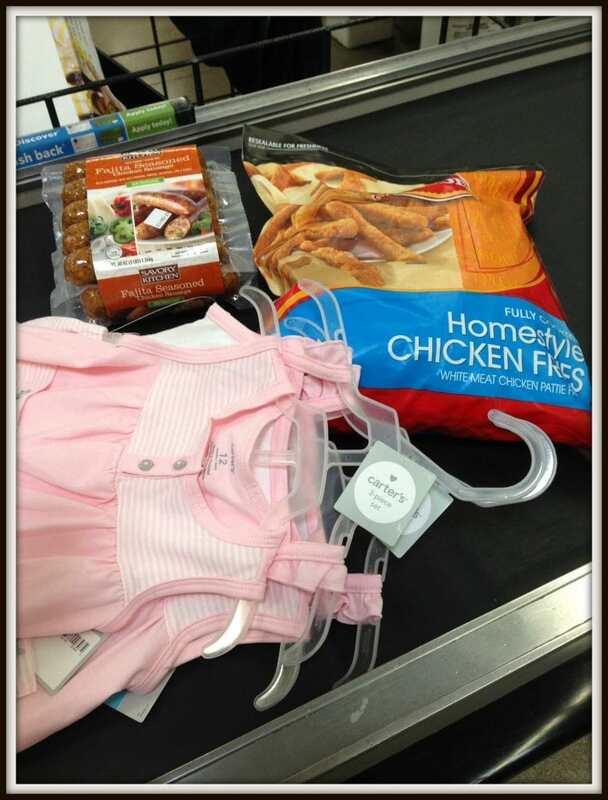 Click on the photo below to see everything that we purchased, I found an amazing deal on the cute little Carter’s outfits! Be sure to visit Tyson on Facebook where you can win free tickets to Six Flags for you and your family! Enjoy the summer with your family. My son would love those chicken fries- and I’d love that wrap!!! YUM! I am all over this. Great idea, I never thought of making a recipe with chicken fries! Oh, that is a great idea. And it looks so good. I have been on a wrap kick lately & this one looks great! 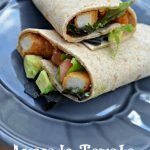 I love wrap sandwiches, especially anything with avocado! YUM! That wrap looks soooo good. Yum..the only way I tend to eat tomato is with avocado. I have an avocado I need to do something with. Oh my goodness. That sounds great! 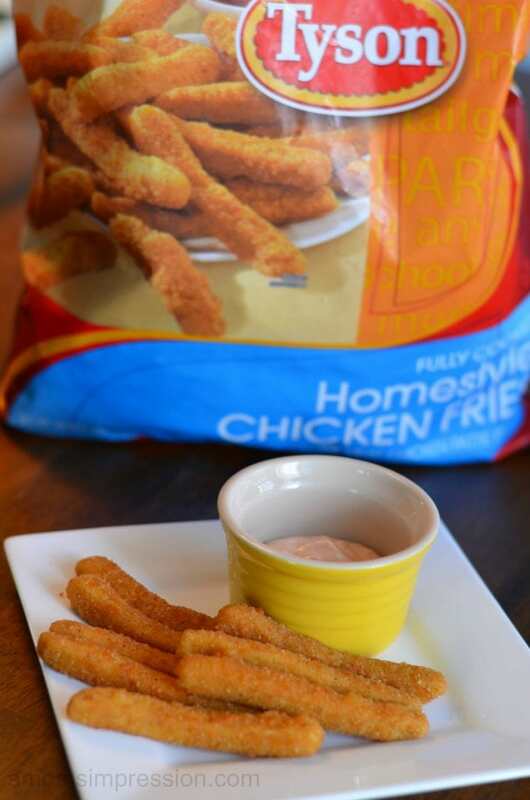 We love chicken fries! The fries!! they look great! This looks delicious. I don’t like tomatoes but I would just leave those out. YUM. I could so eat that right now! We buy Tyson chicken fries for Sweet T all the time. I would never have thought to make a wrap with them. Great idea! We LOVE chicken fries, I never thought of putting them in a wrap. Such a great idea!